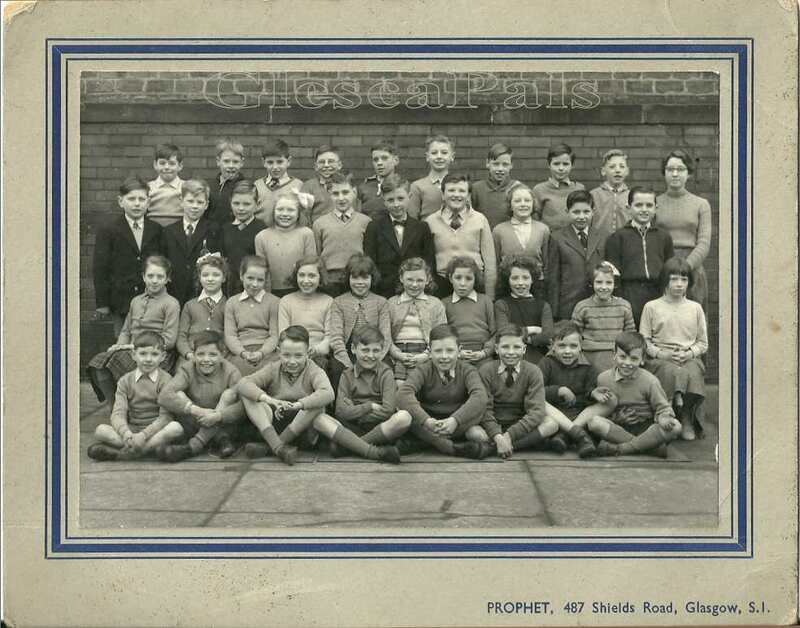 .... please find enclosed an old John Street Primary school photograph from June 1957 for the GlescaPals website. The names I have put in I hope are right. Austin & Stewart Pirnie were twins but I am not sure if I have got them the right way round! Christine McCulloch stayed opposite our family in Greenlodge Terrace and her brother Jim is in the 1957 fitba photograph. Ian McDonald was the school dux. Sadly the boy next to him, a good school pal of mine, Ian Anderson passed away a couple of years ago. Greenhead Street and Greenlodge Terrace boys always had a great affiliation with the 219th BB & John St School and when I read Ian Holmes story about the school fire it brought back memories as we stayed directly above him and also had a grandstand view. My memories of Bridgeton are of a thriving busy but very happy place to live. But when it was foggy and dark and under the old gas lights on the way home from the BB on a Friday down by the old Glasgow Green it could appear quite scary, so it made you hurry home and yiour wee Ma was glad to see you in! Webmaister : "Ian thank you for sending me the photo and for sharing your lovely memories of your school, your pals and of Brigton. I am sure many will be delighted to see the old class photo and read of your memories. Hi Webmaister. My sister "Helena Caldwell" Is No8 second row in the 1957 added today of John St Primary school. Good find.